The original roof tiles thousands of years ago, which can still be found on buildings in Italy and the rest of Europe, were ceramic roof tiles. They were traditionally of the barrel type ceramic roof tiles, what is referred to today as cap and pan roof tiles. 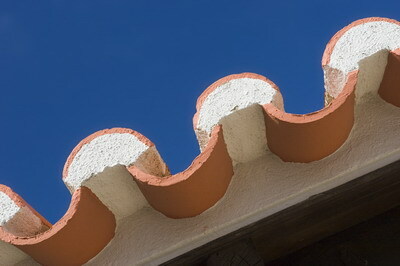 It was specifically the Spanish ceramic roof tile that made its way to North America, brought by the Spanish explorers to Mexico and the New World. Though the ceramic roof tile was hand made at the time, today there are many large ceramic roof tile manufacturers and they are made by machines. 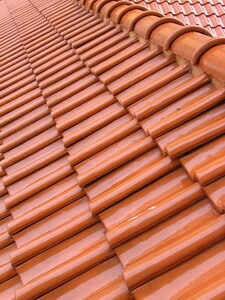 Ceramic roof tiles are full of character and add a lot to a home’s appearance. 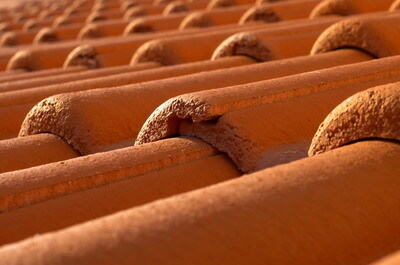 The color and texture of the ceramic roof tile does not fade, thanks to technological advancements to the material and process of manufacturing the tiles. Of these colors, the most popular one, perhaps for its resemblance to the historic ceramic roof tile, is the terra cotta red. It is achieved by mixing clay with iron oxide in a large percentage. The use of colors however, continues to expand and the choices are varied. The list of advantages is long and rich. 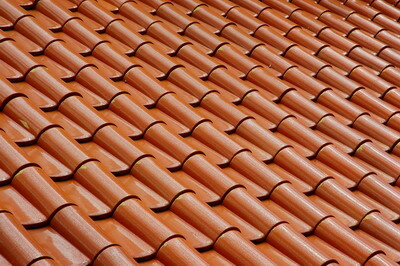 Ceramic roof tiles are a natural and durable roofing product. It adds aesthetically to a home and gives it a natural look. This natural look may look historical and contemporary at the same time. For cost conscious homeowners, ceramic roof tiles provide an efficient product with prime quality, satisfying industry standards by and large. The building industry has kept using ceramic roof tiles over the years and still does today, as it is a top quality product that keeps a traditional look while giving first rate roof performance. How to replace a roof is a two step process that will strongly depend upon the kind of roof you own. There are many kinds of damage that can occur, including holes, leaks, rust, decomposition, discoloring, tearing, and more.